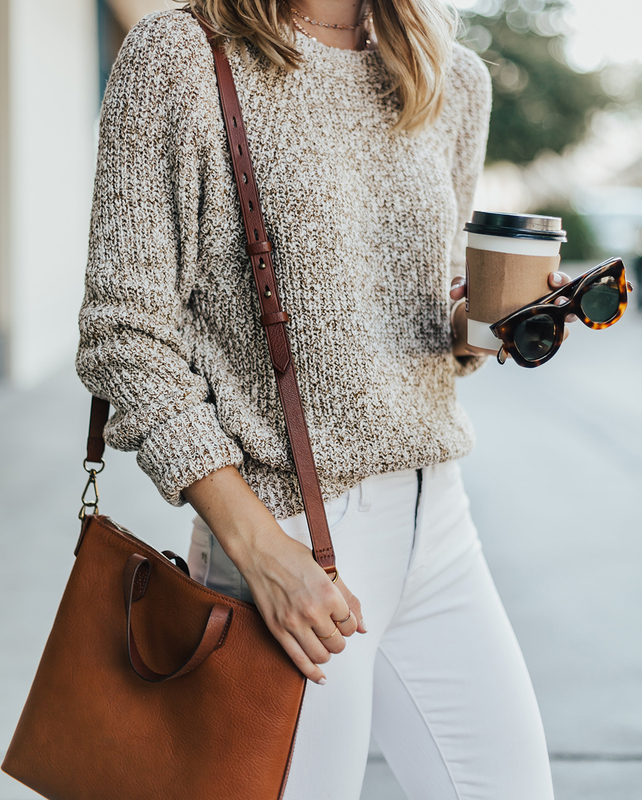 We’re about to pack our bags to head home today, but I wanted to take a minute and share this NSale sweater with y’all because it’s selling quick! 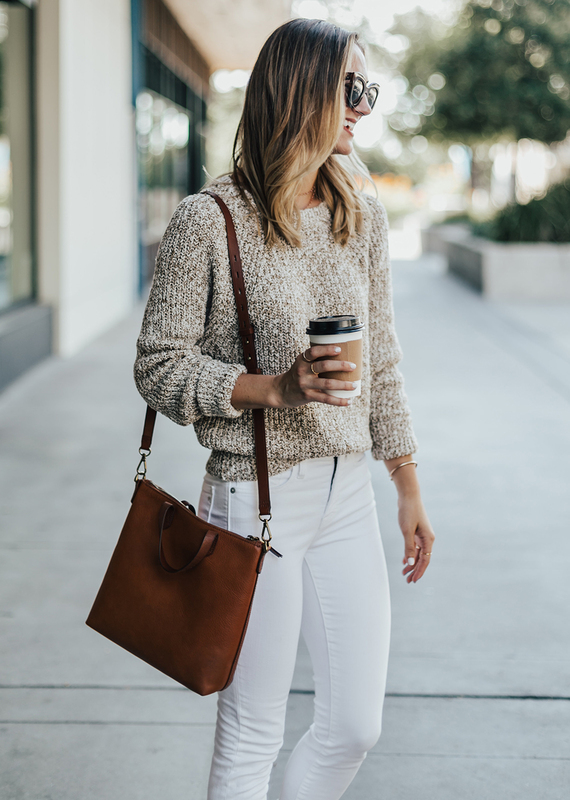 Seriously…is this not the perfect cozy sweater for a cooler summer night? (…At the beach or lake…clearly not in the 107 degree Austin weather right now, ha! 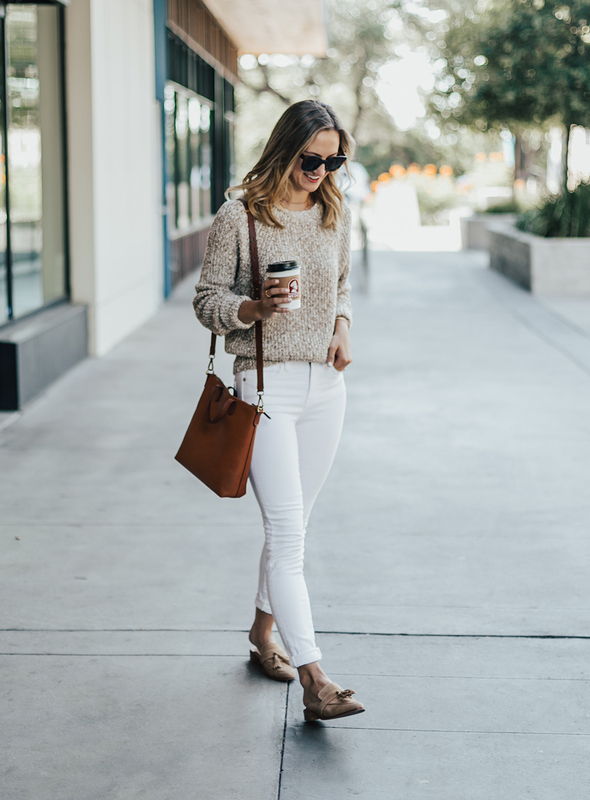 )… and even more amazing as a go-to fall knit. On sale for $64, regularly priced at $98 – available in more color options, too! I’m wearing size XS for reference. 🙂 Enjoy the sale shopping, ladies! 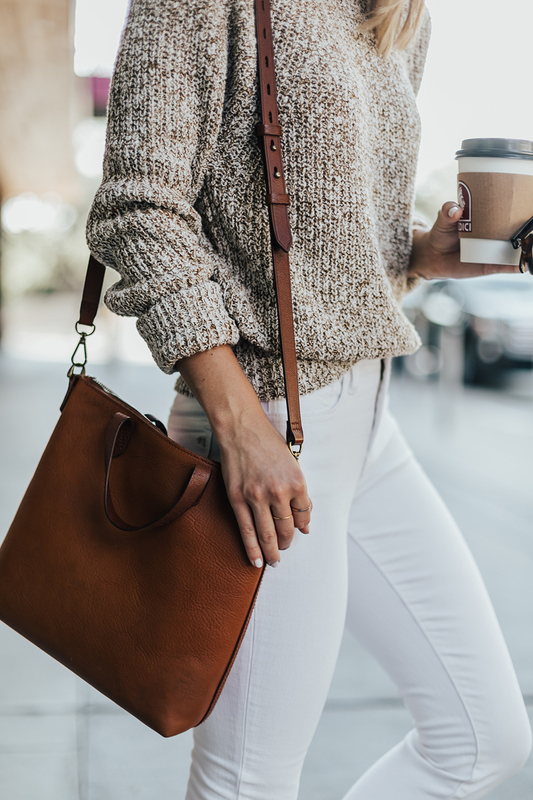 This outfit has me seriously wishing it was fall! I love your sweater and mules! LOVE how you styled this outfit! Those are great NSale selections! Gotta love the Free People sweaters! This is one of my fave looks to date !